We are a global innovation firm focused on solving complex problems that matter through a rigorous, interdisciplinary approach. It began with a question: How can human-centered design solve large-scale business problems? Jay Doblin believed design methods could help businesses bring new possibilities to life. 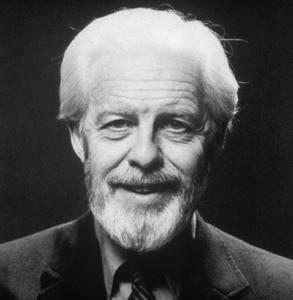 In 1981, he created the first strategic design firm based on this idea and, along the way, established the principles innovators rely on today. 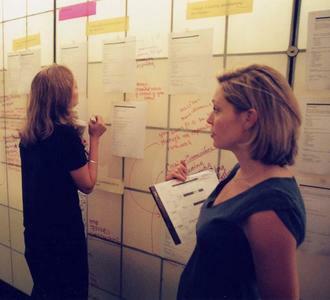 Since then, the Doblin team has advanced innovation, strategy, and human-centered design. 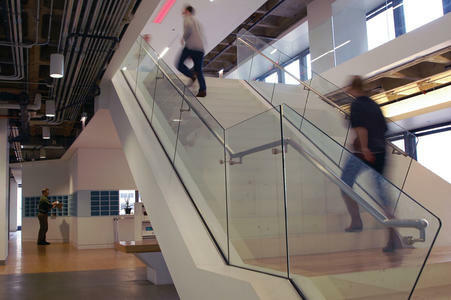 Jay Doblin and Larry Keeley found Doblin to prove that design processes can help solve large-scale business challenges. 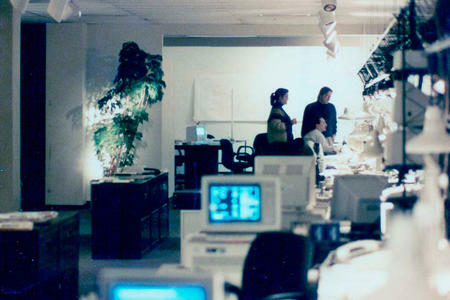 Our early projects, done collaboratively with Vignelli Associates, demonstrate the principles of strategic design and lead to production ready applications of information design, visual communications systems, and customer experience components. 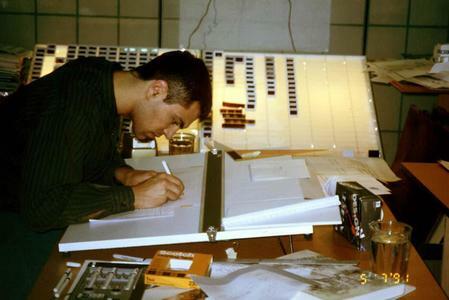 Jay retires from everyday work to focus on writing another book, which was never released to the public. Larry Keeley continues leading Doblin through our formative years. Doblin pioneers the application of social sciences to business problems while developing processes to drive innovation throughout an organization based on user-centered insights. As interest in design-led innovation spreads, Doblin’s team grows and continues to develop new methods and tools. Business analytics, architectural planning, interface design, and other capabilities are added to complement our focus on design methods. Doblin conducts an exhaustive research study to develop the Compelling Experiences model (a precursor to the well known 5Es model). We share this landmark framework for understanding customers experiences at TED, a purposeful step in making it public domain. As the design and business communities start to intersect more dynamically, our focus centers on the nascent discipline of innovation strategy. 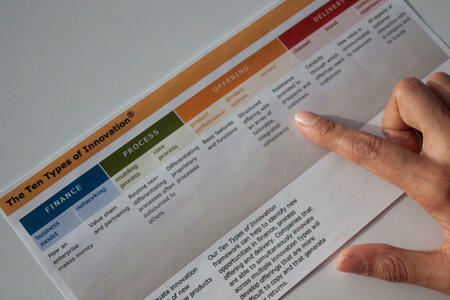 We discover the Ten Types of Innovation, a key shaper of this emerging discipline. 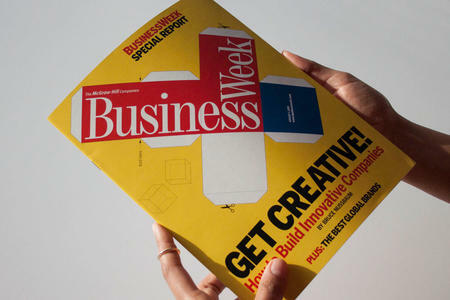 To cover the growing global conversation around innovation, Business Week consults and features Doblin in its first innovation issue. Larry Keeley is named one of seven innovation leaders. 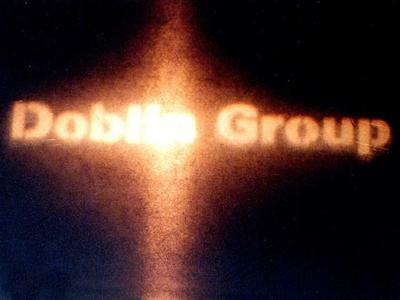 Doblin joins Monitor Group, a global business strategy consultancy, to extend its impact. With our Monitor colleagues, we build new and deeper capabilities in strategy and capability development to help our clients seize timely opportunities. 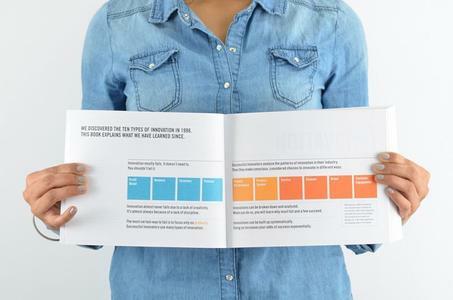 Doblin develops Total Innovation, a way for organizations to assess their innovation activity and place bets wisely. 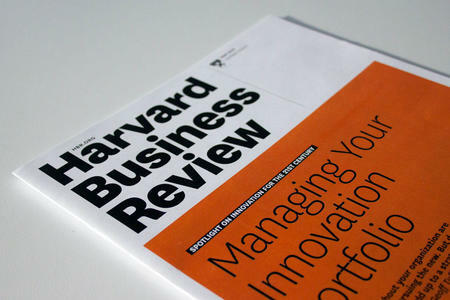 This approach, which combines design thinking and analytics, is published in Harvard Business Review and becomes essential to the discipline of innovation strategy. Doblin and Monitor Group join Deloitte Consulting LLP, firmly establishing the vanguard firm’s innovation capabilities and helping to increase the depth of solutions for their clients’ 21st century challenges. Doblin's new book, Ten Types of Innovation: The Discipline of Building Breakthroughs, puts key tools for innovation in the hands of every reader. 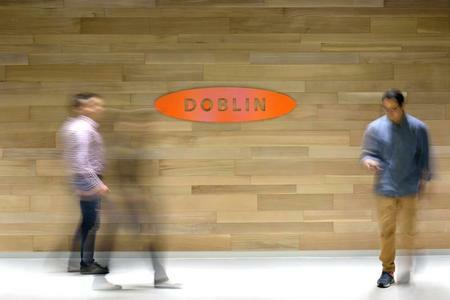 The people at Doblin bring together diverse points of view to discover new opportunities and create real change. Our close-knit team taps into deep industry experience and innovation acumen to collaboratively tackle complex problems. Working closely with clients, we ignite effective transformation rooted in real human needs and ambitious business goals. The best meetings feel like fireside chats. The balance of listening and storytelling of all present—it's an art. I am an innovator by nature, a designer at heart and I enjoy consulting for interesting companies and organisations, exploring possible futures and developing the paths to get there. I think the strategy process and human-centered design are quite similar - just one starts with a research report and the latter with a human being. I am a passionate learner. There is nothing more exhilarating to me than seeing the world in new ways. Something very magical happens when you stop and listen. Seek first to empathize, then analyze. There is always a solution, a silver lining, and a second chance. I enjoy improvising new ways to mix empathy, skepticism, and humor in different amounts. There are many opportunities in the unknown. I strive to be more at ease with it everyday. Question yourself every time you think you only see one thing in people. Make people happy. The world's a better place when everyone's smiling. My passion is building brilliant teams from gloriously eccentric and diverse individuals. People can’t suggest what they cannot yet comprehend. But cultural ethnography & knowing how to see the gaps, exposes opportunity. I love exploring the intersection between design, music, and engineering while sprinkling some business on top. I will rarely keep you guessing—whether through spoken words or via my uncontrollable expressions—you'll know what I'm thinking. Believer in radical empathy & stating the obvious. I am almost compulsively interested in the details of human behavior. I love solving problems. The harder the problem the better. If you tell me something can’t happen, I’m convinced that it can. I think and draw (and sometimes gesture) in diagrams. I love people, life and productive interactions. You can’t innovate without getting your hands dirty. I'm a curious, empathetic, hybrid thinker. I hate sad stories but only read books about real life disasters and human survival. I'm a contradiction. It takes a village to notice and act on the emerging opportunities that could change everything. Enabling people to take agency is what I’m all about. I would rather ask why not than why. I ask a lot of questions. It's my favorite way of finding answers. I'm a futurist and innovation expert. I am avid collector of stories. Stories of breakthroughs in business, of new ways to solve old problems, of inspiring experiences that can be created to improve people’s lives. I prefer listening to talking. It's more interesting to hear something new than speak to what I already know. I view my job as helping clients to unlock their capacity to innovate by looking at their problem in a new way. Feeling uncomfortable is a great sign that you're growing. I think the same is true for companies. I'm fascinated by great businesses across the globe and optimizing the sharing of that knowledge. I'm most passionate about helping drive growth at our client's organizations by forcing them to challenge conventional thinking (and inherent orthodoxies) and arrive at differentiated solutions. I am energized by others' skills and passions. I don't believe in boredom. Innovation isn't about the invention of one thing. It's about the elegant integration of many things. In all my work I strive to have empathy for people, patience for new ideas to emerge, and humility, because most often the best ideas won’t come from me. How we did things yesterday doesn't define what we can do tomorrow. Nothing incredible ever came from being right first time. Design is not a passive process and shouldn't lead to a passive product. Generating innovative business concepts is not all about natural creativity. Groups of people with the right backgrounds, provided with the right processes and stimuli, can develop the best ideas. Learning how other people see things can open up the whole world. It's fascinating how the right blend of curiosity, discipline, and courage can turn "why should we?" into "how might we?" I live for the moment when an unexpected insight completely changes how we look at a client's problem. I believe good humor is critical to success. And I laugh like a dolphin. So get ready. It is experience, or a combination of different experiences that allows us to create something unique. I like to think in problems because that’s how you understand solutions. Frameworks are useful tools, but eventually a human being has to make a decision. I’m a designer, not a scientist. To my mind, information is nothing without emotion. Humans are fascinating. Our behavior, cognition and emotions are the foundations of the customer problems I look to solve. My favorite subject is my family and friends. The creation of value for people, with people, is what drives me every day. Disruptive design begins by stepping out of the comfort zone. I think empathy for the end-user is an incredibly powerful tool and fundamental to creating sustainable solutions in our ever-changing world. Everybody's got great ideas. The difference is in who can make great ideas a reality. I really like snark. It's not you, it's me. It's taken a bit longer to figure things out than I first thought it might. How can I know what I think until I see what I say? The best innovations are those that have the ability to change the way we do things while feeling familiar to us. As if we have never been without. It’s the places and cultures I have worked in and the people I have worked with that make my job exciting! I am passionate about helping leaders and their organizations innovate and grow meaningfully and sustainably. What gets me up in the morning is finding the ‘extra’ in the ‘ordinary’. The best design is invisible, and achieves beauty through functionality. I truly believe that we have a responsibility to ourselves and to humanity to use our expertise (whatever they may be) to help one another. I'm passionate about helping business leaders and their teams revitalize and grow their organizations through innovation. Simple problems are boring. Bring on the complexity. I enjoy being at the intersection of design and business, uncovering the deep connections between these seemingly unrelated fields. Shoot your shot. Someone will eventually do the thing you've been wanting to do. It may as well be you. After close to 25 years of consulting, I’ve discovered that the value we bring is rarely better answers, but rather the confidence to take action. Trying not to boil the ocean. Growing up in different cultures often made me feel like an “outsider, but helped me to quickly gain “insider” empathy and identify with the people around. The core of innovation is about listening to the consumer or client and identifying unmet needs. I am deeply curious and endlessly observing and questioning human behavior. Consider me as a kind of solvent to sticky problems. Combining Economics and Design to understand people. I love making the world easier for people to navigate. I love helping large organizations disprove the myth that big companies can't be innovative. Creativity is a social process. When we convene people and create the space, design has the power to remind us of what could be and what we’re capable of. "The four most important words in business are 'What do you think? '’ Bill Marriott, Jr. I see insights as clues to help us unravel the mystery of what it means to be human. Sorry, no team members match this criteria. Are you a driven problem-solver who wants to tackle big challenges?